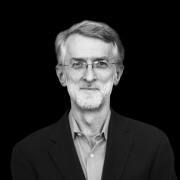 Jeff Jarvis is Associate Professor & Director, Interactive Journalism Program City University of New York Graduate School of Journalism. Jeff Jarvis, author of “What Would Google Do?”, blogs about media and news at Buzzmachine.com. He is associate professor and director of the interactive journalism program at the City University of New York’s new Graduate School of Journalism. He is consulting editor and a partner at Daylife, a news startup. He writes a new media column for The Guardian and is host of its Media Talk USA podcast. He consults for media companies. Until 2005, he was president and creative director of Advance.net, the online arm of Advance Publications. Prior to that, Jarvis was creator and founding editor of Entertainment Weekly; Sunday editor and associate publisher of the New York Daily News; TV critic for TV Guide and People; a columnist on the San Francisco Examiner; assistant city editor and reporter for the Chicago Tribune; reporter for Chicago Today.